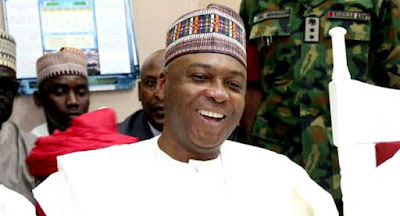 Senate President Bukola Saraki is delighted after the Supreme Court freed him of the charges of false asset declaration brought against him by the Federal government. Saraki, who had been involved in a series of court cases for almost three years, was finally discharged of all the charges by a five-man panel of judges led by Justices Justice Centus Nweze on Friday in Abuja. “At the end of a tortuous journey of 1,018 Days counting from September 22, 2015, when the case began at the Tribunal, I am happy that I have been vindicated,” he said after the judgement. The Code of Conduct Tribunal (CCT) had quashed the 18 counts of false asset declaration and money laundering against Saraki by the EFCC for lacking in merit in 2017. Although the Court of Appeal agreed in part with the lower court in its ruling on January 14, 2018, it held that Saraki had a case to answer in counts 4, 5, and 6, which had to do with his purchase of properties in the Ikoyi area of Lagos State.